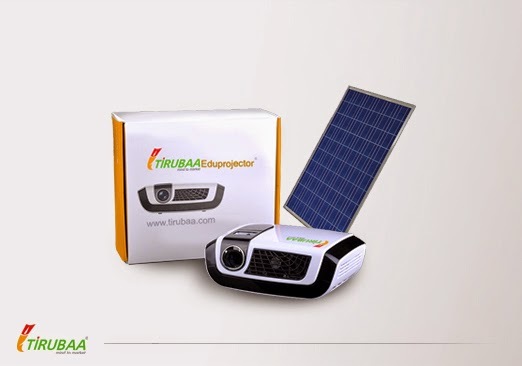 Tirubaa Technologies Pvt. Ltd., a Social Enterprise, an Incubate company of Science & Technology Park - Dept of Science and Technology, Govt. of India. Their aim is to promulgate Quality Education to the remotest part of the globe by using Green Technology that enables all our education disseminating devices to work on Solar Power. Very cool, creative ideas.